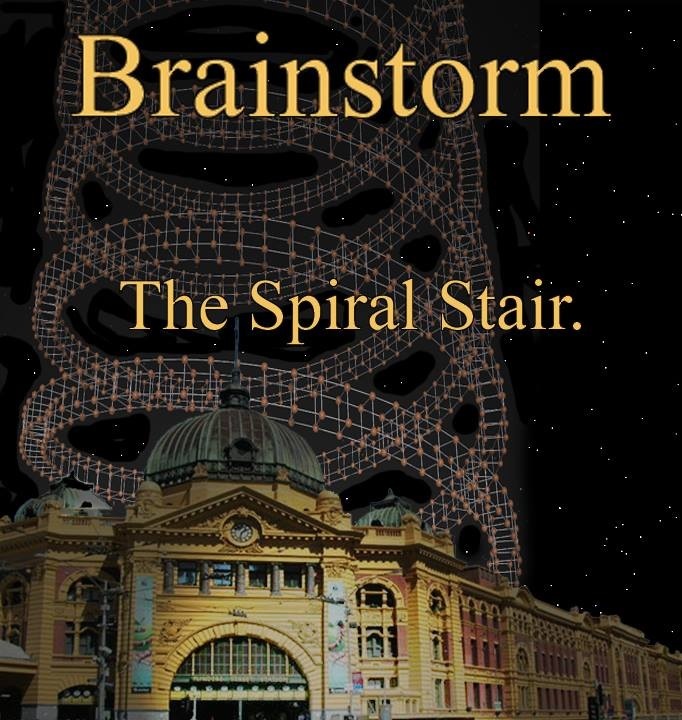 Years in the making, The Spiral Stair was less a labour of love and more a trial of will. Although the time taken to complete the songs was extreme, the band progressed musically and learned a great deal about new recording techniques. As the veneer of ignorance and inability was removed, layer by layer, the faults and weaknesses of each song became obvious. The new-found ability to fiddle with tracks forever became a temptation too great and many, many changes were made. The songs represent a greater diversity of styles and themes than previous albums and this may even be within the same song! This creates an eclectic collection of tunes that fall within the 'rock' genre in one way or another. From the verse-chorus rock of 'Breakout' to the Krautrock-inspired 'Elektronisches', the band is stretching for new horizons on this album. Instrumentals and vocal-focused performances share aural space with synth-rock, ambient textures and more of Paul's space-classical flute solos than ever before.